Like many of Gogol’s plots, the storyline is quite intricate. 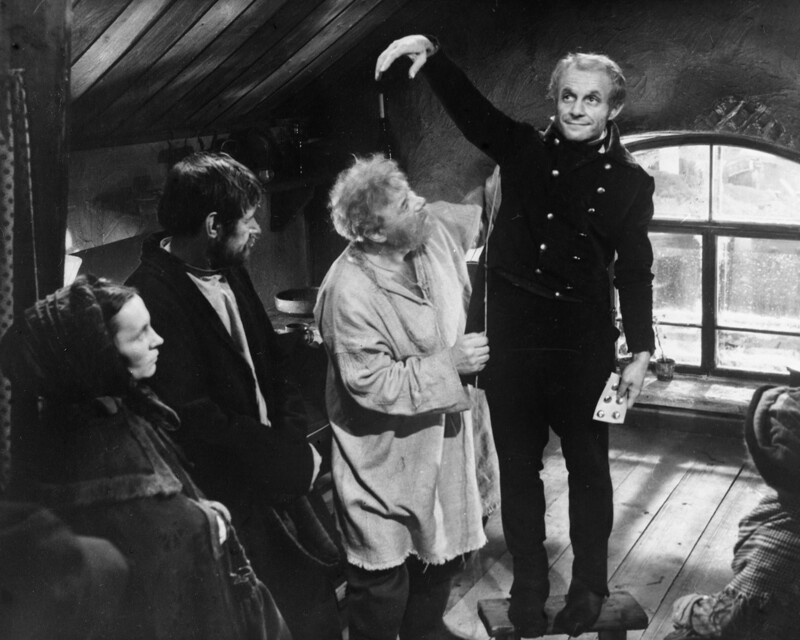 The middle-class official Chichikov arrives in a nameless provincial town and visits the local landowners asking them to sell their “dead souls.” The “souls” in question are serfs that have died (and hence of no use to the landowners), but are still listed in the most recent census as alive. Chichikov’s get-rich-quick scheme is to purchase as many as possible to acquire social status. What could possibly go wrong? Gogol initially conceived the book as three volumes to echo Dante’s Hell, Purgatory, and Paradise. “Hell” (i.e. the first volume bequeathed to us) flowed off the pen and, as its proposed title suggests, probes the darkest aspects of the Russian character (embezzlement, bribery, hypocrisy, not to mention bad roads) in a lively and humorous manner. 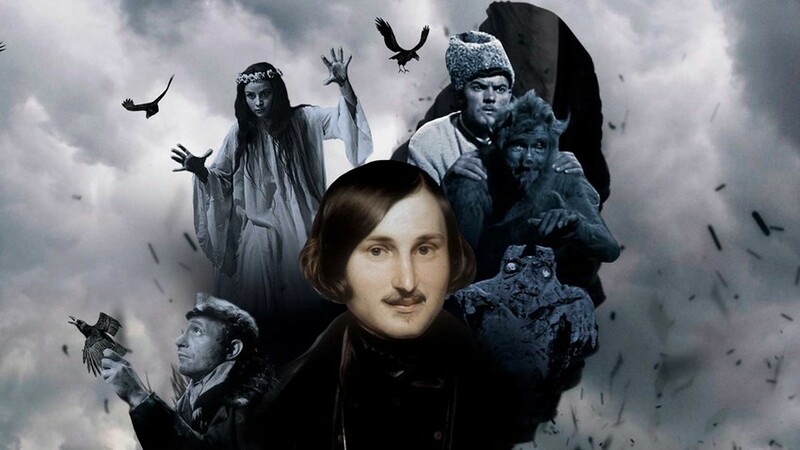 However, when it came to “Purgatory,” Gogol realized that his aptitude for portraying good characters was not so sharp, and, according to legend, he burned it (only a fragment survived). Over time, the burning of the second volume by the impulsive Gogol has acquired meme-like status in the Russian literary consciousness. Gogol was born in the village of Sorochintsy near the city of Mirgorod in what used to be called Malorossiya or “Little Russia” (now Ukraine). He was deeply fond of the “Little Russian” way of life, with its traditions and rural setup. Two of his collections of short stories – Evenings on a Farm Near Dikanka and Mirgorod – are dedicated to his native land. 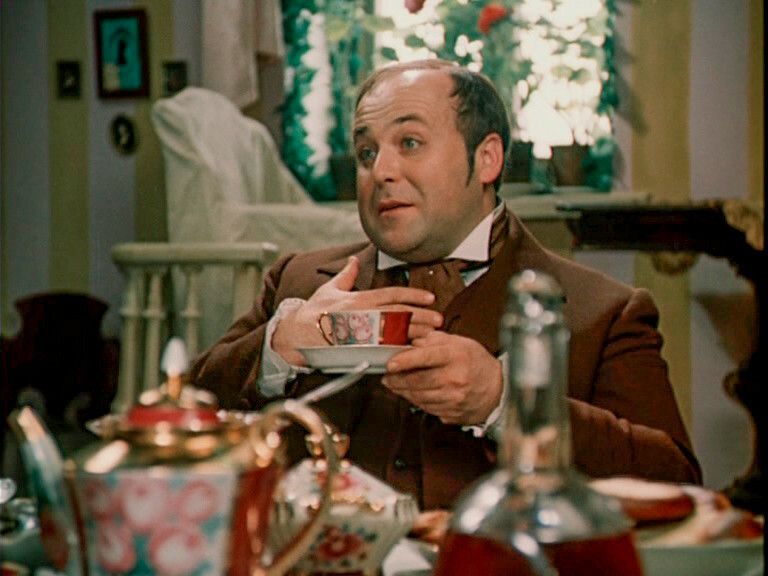 However, in “Little Russia” itself, Gogol was criticized for being too Russian. 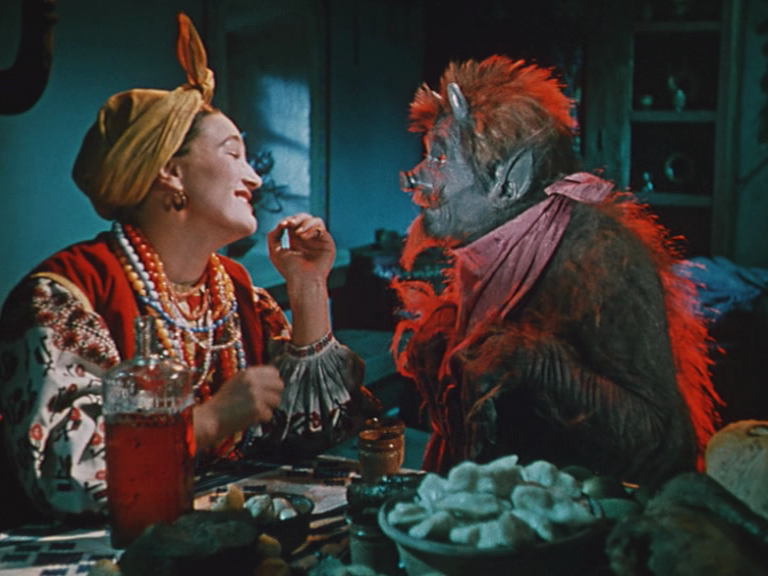 The collection contains some scary tales, almost horror-esque (“May Night, or the Drowned Maiden,” “A Terrible Vengeance”), as well as some amusing romps (“The Night Before Christmas”), but all are connected with evil spirits. Contemporaries highly praised the collection as a breath of fresh air in Russian literature. However, Gogol’s obsession with evil spirits and mysticism (evident in other works too) contributed to some enduring posthumous legends. The writer was buried at Danilov Monastery, but when his remains were exhumed in Soviet times and transferred to Novodevichy Cemetery, it was rumored that the skull was missing. According to other hearsay, the body was found in an unnatural position, suggesting that the writer had been buried alive during a lethargic stupor – allegedly his very worst fear. This collection is considered a continuation of Evenings, but far more profound and serious. All four stories are standalone works, and not all readers are aware that they were originally part of one collection. The most famous of them is “Viy” (remember the seminarian who performed burial rites over a deceased girl? ), which was made into several horror movies. Another piece definitely worth reading is “Taras Bulba” about a Cossack father and his two sons, who go to war together. A Walter Scott-type tale of love, betrayal, and filicide. “I gave you life, it is on me to take it away from you,” says Yul Bryner to Tony Curtis in the 1962 Hollywood movie. In Russia, Gogol’s original words have become a (hopefully ironic) catchphrase. “Old World Landowners” tells about the quiet, sedate life of an elderly and childless husband and wife, a touching story of their love for each other. Meanwhile, “The Tale of How Ivan Ivanovich Quarreled with Ivan Nikiforovich” is self-explanatory. Two “friends” fall out over a petty dispute, hurl ridiculous insults at each other, and ending up taking the other to court. At once very funny and deeply depressing, it is one of the finest examples of the “laughter through tears” genre, which Gogol practically invented. By now, you’ve probably noticed that Gogol’s range is wide; no two works are ever alike. This collection is also unique. After the Ukrainian folklore of Evenings and Mirgorod, and the provincial escapades of Chichikov and Khlestakov, we plunge into the capital of the Russian Empire. This collection shows the life of the “little man” in the soulless St. Petersburg. The first tale is “Nevsky Prospekt,” where well-groomed mustaches and sideburns matter more than personality, and where new frock-coats and top hats are flaunted ostentatiously. Meanwhile, the magic powers of the eponymous portrait in “The Portrait” would have been the envy of Dorian Gray. A young artist buys a cursed portrait of an unknown moneylender and goes crazy. As for the nose of Major Kovalev from the phantasmagoric “The Nose,” it ended up with its own monument in St Petersburg. 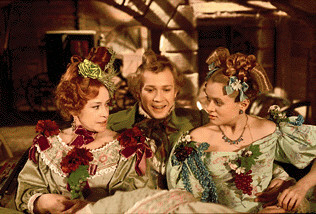 But perhaps the most famous story depicting the “little man” in Russian literature—one who suffers in silence and never complains – is “The Overcoat.” Akaky Akakievich Bashmachkin (whose name in Russian sounds like a type of shoe) is a minor official who devotes himself entirely to the important service of... transcribing documents. 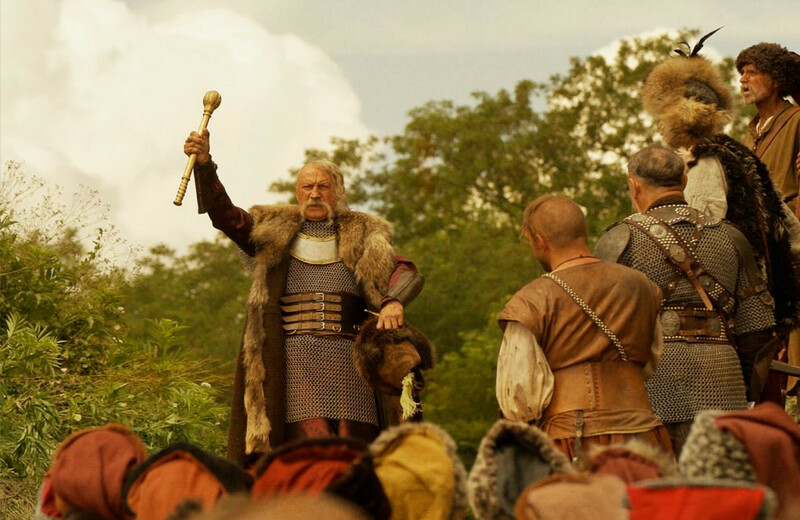 His coat needs repairing, so he takes it to a tailor who declares it to be beyond salvation. A new one must be purchased, with terrible consequences!